SoulTrack review on latest release remixed by Eric Kupper, Don't Stop The Music. 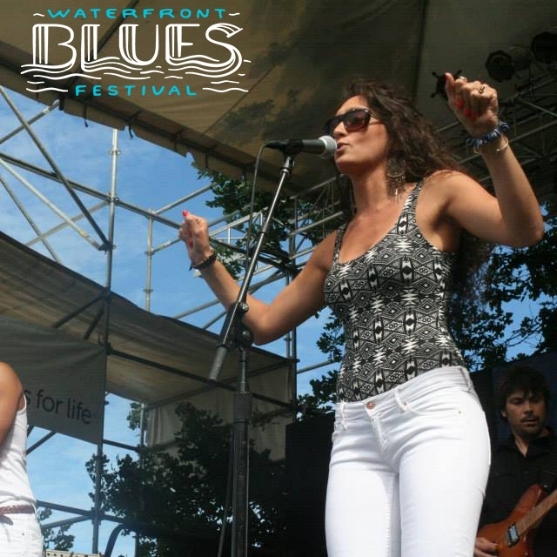 Portland Radio Project review of Lilla's Waterfront Blues Festival performance. Boston Globe write up on Lilla emerging Into the music scene. Full Bio: It’s an exciting time for Lilla! Originally from Portland, OR, the soulful songstress is making her mark on the music world with a fusion of her own. Lilla brings together today’s soul, with a timeless combination of RnB, jazz and funk. Lilla’s latest single Don't Stop The Music just charted at #34 on Billboard and in the top 10 on the UK charts. Writing, producing and performing her two full-length albums are some of Lilla’s most remarkable accomplishments. Despite the challenges of creating truly original music, the end products are those of uncompromising dedication to music with integrity. Her last album was recorded all over the map, from Bob Marley’s studio (Tuff Gong) in Jamaica to Kfar Saba, Israel. The Awakening is her testament to the power of music and its ability to connect musicians, culture, and people from around the globe. Lilla is excited to share more music this summer. Releasing her 3rd album, Soul Love.